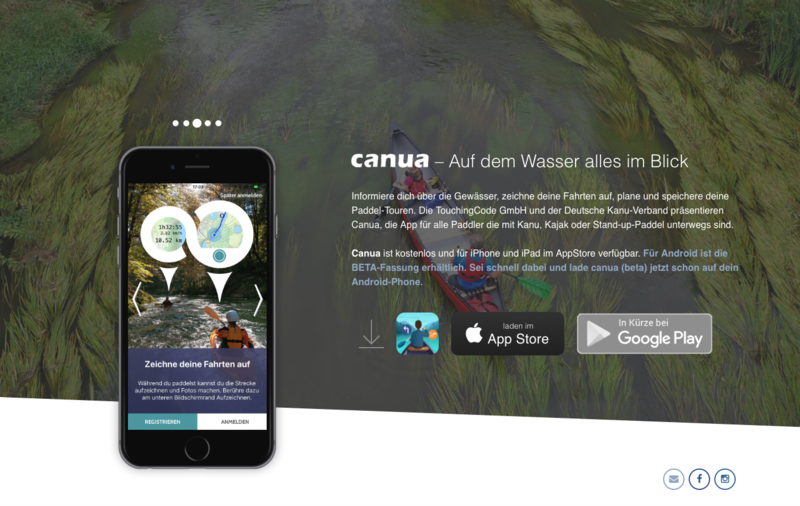 Website of the app canua - The app for all paddlers. The website offers information for paddlers, app features, the possibility to subscribe to the newsletter, download links. Ad price list and contacts for partners and supporters. 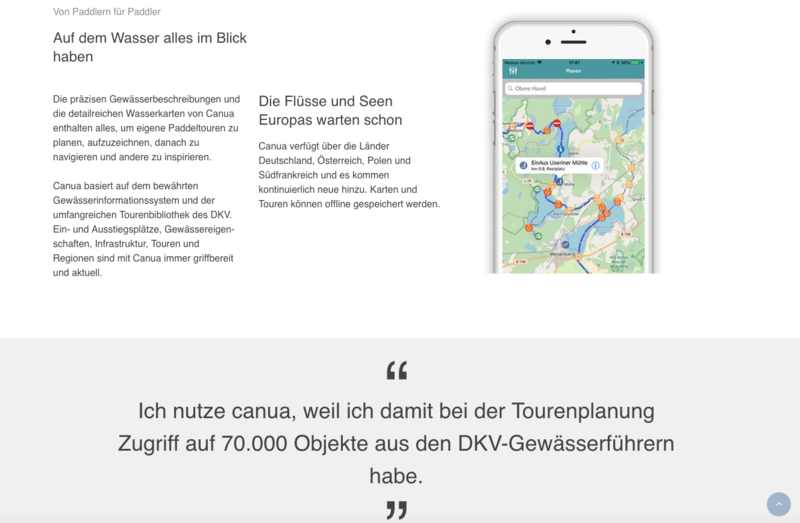 canua is a joint venture of TouchingCode GmbH and the German Canoeing Association.